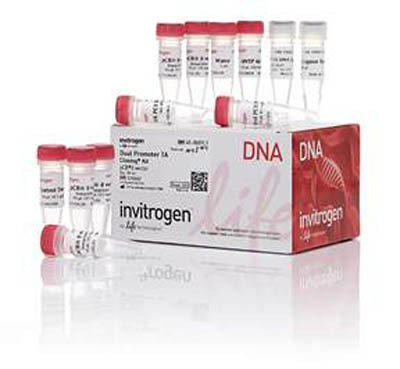 Incluye Linearized pCRII vector, ExpressLink T4 DNA ligase, 5X ExpressLink T4 DNA ligation buffer, dNTPs, 10X PCR buffer, sterile water, and controls. Requisitos de almacenamiento Store all components at -20°C. All reagents are guaranteed stable for 6 months when properly stored.